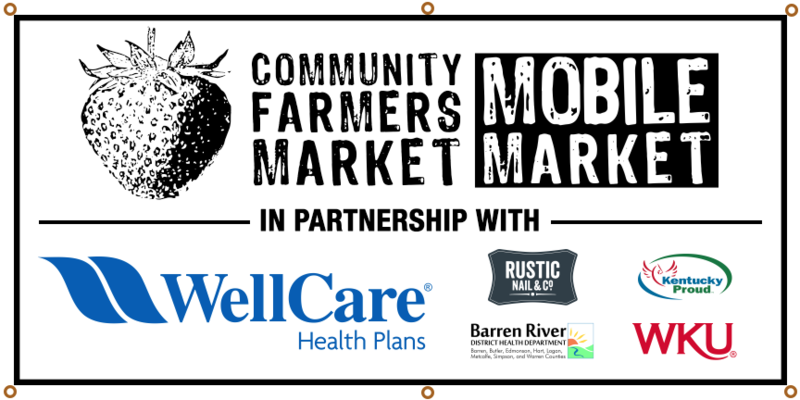 The CFM Mobile Market, designed and built by Rustic Nail & Co. in 2013, was the first satellite farmer's market in the great state of Kentucky specifically designed to increase fresh local food access to under-served areas of good ol' Bowling Green. The project was made possible through a Local Food Promotion Program Grant from the USDA in partnership with Western Kentucky University. Join us at the following locations where you can get some of the best fresh local produce straight from several CFM farmers! We'll be taking our Double Dollar Program on the road, matching WIC farmers market vouchers, senior farmers market vouchers, and the first $20 in SNAP benefits.